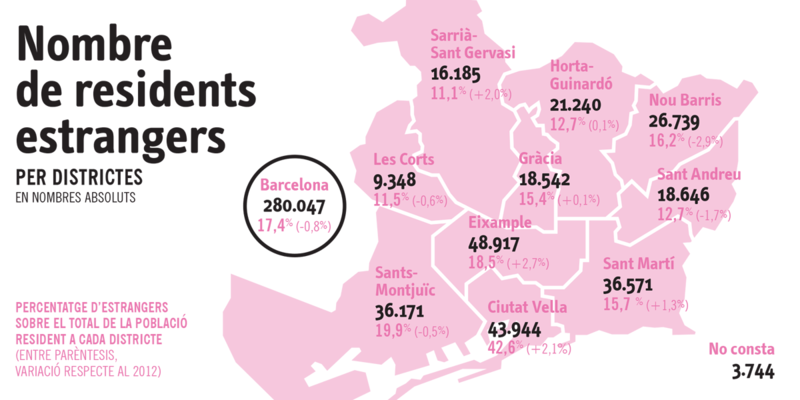 Below are some snapshots from the Població Estrangera a Barcelona (Foreign Population in Barcelona) PDF about some of the demographics in Barcelona. Unless you happen to be a bird of prey click on any of the thumbnails to scroll through larger versions. These immigration statistics are from January 2013. There is more recent demographic data available, as recent as January 2016, but unfortunately, they stopped creating these pretty graphs in 2013. And let’s face it, unless you’re an academic, who wants to read through reams of data tables. But, for the academics out there, grab a coffee, or something stronger, and visit the Studies on Immigration page for tons of the stuff. You can find the new edition of Information is Beautiful on Amazon for an incredibly reasonable 7 pounds and 99 pence (at the time of writing). 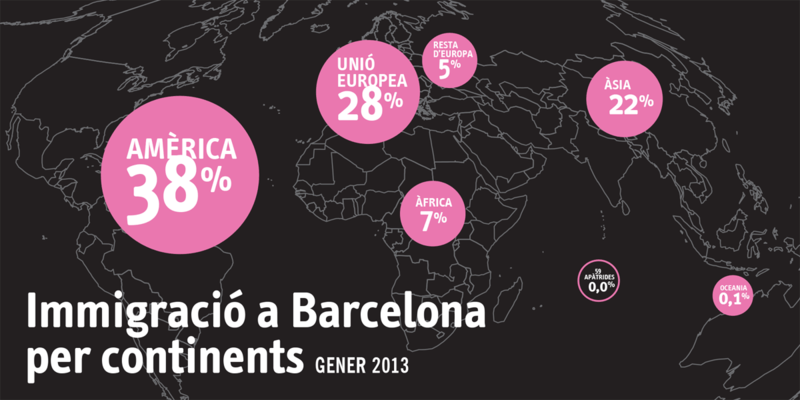 Is there any other interesting data about Barcelona or Catalonia you know of? My pleasure Jess! I found it very interesting too. 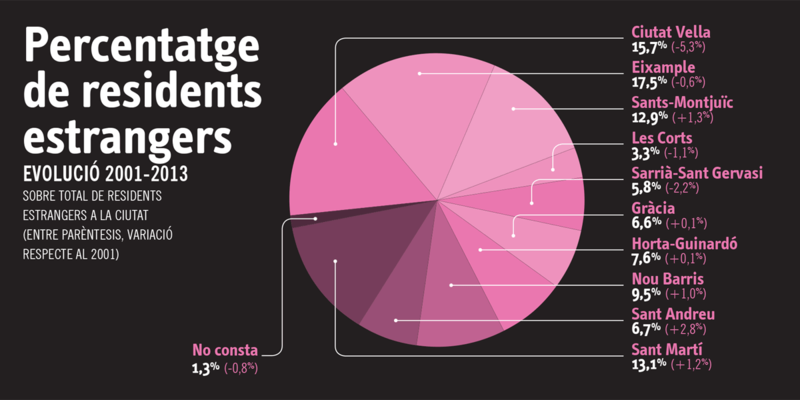 Pretty recent figures too which is rare. Excellent post, Rob. I thought the most interesting statistic was that marriages between “foreigners” [I still hate that word] and the locals has continued to increase steadily from 2004 until 2010. 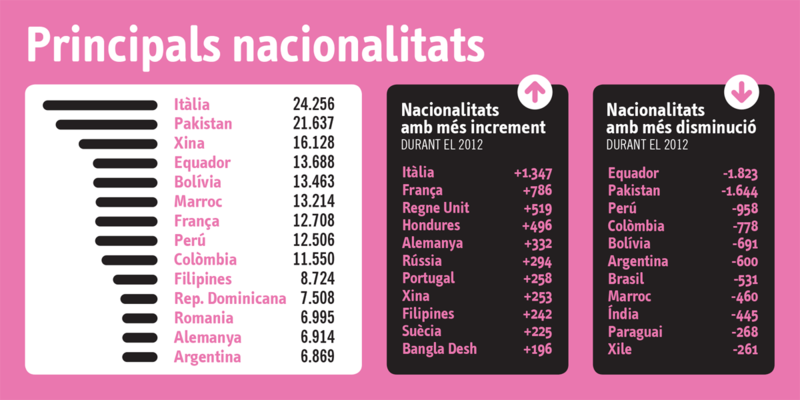 It supports the impression that Catalonia is [slowly] becoming more multi-cultural, which is generally a very good thing. Yes Brett, mine too. Interesting the way it has increased over recent years. Glad you enjoyed the post. Barcelona is importing trash and beggars from all over and letting we the locals flee away from the criminality and rudeness that all this trash is bringing over. I hope the border is closed after freaking independence. I fully agree with you. It’s one of the most catastrophical processes that I’ve ever witnessed in a city. It’s gone from being a jewell of peace and beauty to a dumpster full of the most racist, unskilled, rude and untrustworthy immigrants I’ve ever seen. There’s got to be a referendum on immigration ASAP!! Thanks for sharing the demographics and letting us know about the immigrants in Barcelona.